Introduction: The Quadrangle garden is designed by Wang Xiangrong, a presiding designer at Atelier DYJG in Beijing, a professor and doctoral supervisor in the School of Landscape Architecture, Beijing Forestry University, associate editor of Chinese Garden; chief editor of Landscape Architecture; editorial board member of magazines including Landscape Design, Modern Garden, etc., honorary professor of University of Hong Kong, and visiting professor at Southwest University, Nanjing Forestry University, and Zhejiang Forestry University. The naming of the Four Boxes Garden (Si He Yuan) comes from the Four Boxes Courtyard (Si He Yuan). The garden is divided into four smaller gardens, symbolizing a cycle of seasons. 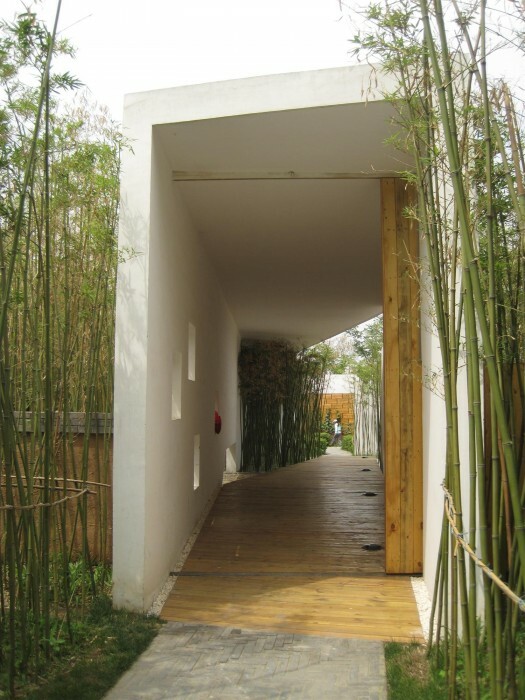 The ground of the garden adopts a linear flow and the plants, white gravel and tiles are made of various materials. the design pursues an artistic concept and poetic quality, where visitors can take part in meditation and experience the garden, demonstrating the Eastern way of understanding and appreciating gestures.